Location, location, location!! 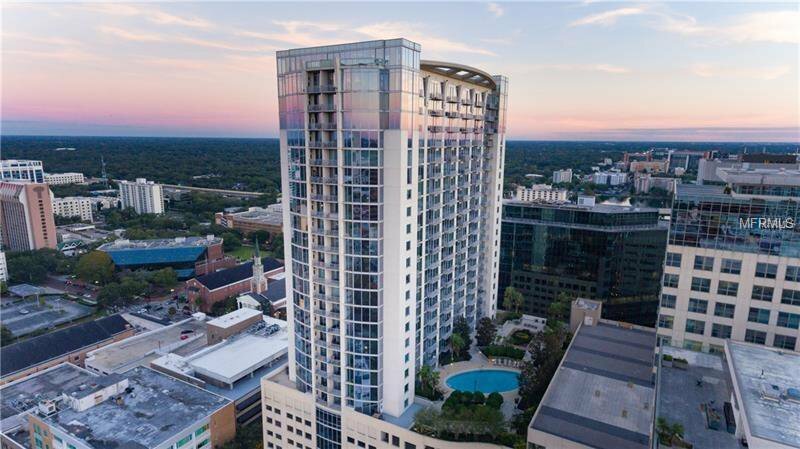 Gorgeous 2/2 in the heart of Downtown Orlando. You'll fall in love with the floor to ceiling windows, wood floors, stainless steel appliances, granite counter tops, and gorgeous views of the city from any room in the unit. Newer carpet in bedrooms. Amenities include 2 private parking spots, 24/7 security, concierge service, building maintenance, rooftop pool, outdoor lounge/grill area, fitness center, and media room. Walking distance to all Downtown restaurants, shopping, parks, entertainment and nightlife. Listing courtesy of KELLER WILLIAMS WINTER PARK. Selling Office: MAINFRAME REAL ESTATE.